So you've heard of Anambas, Asia's very own Maldives, and you want to take a closer look? Experience the timeless natural beauty that these idyllic islands have on offer? Well, what better way to take a closer look than to literally be floating just inches way from the islands' timeless coral reef gardens? It's possible by kayak. In fact, it's not only possible, it's downright easy. 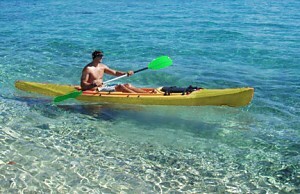 If you own your own kayak and you're journeying to Anambas by private yacht, then you're all set. 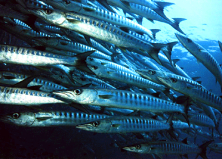 All you might need to know is which of the Anambas islands are best for kayaking. Ranking high on your kayak list would be Pulau Bawah, Pulau Penjalin, Pulau Genting, Pulau Lima and Pulau Pasu, as well as Moonrock Lagoon. 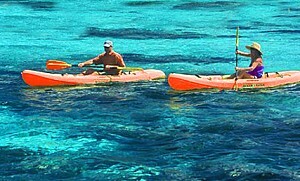 But there are countless other picture-perfect locations around Anambas that are just ideal for a kayaking expedition. If you don't own your own kayak, then no worries, you can still join the kayaking fun. There are enough kayaks available for rent in Anambas; as long as you know where to find them, you'll be floating right in the middle of the archipelago's timeless beauty before you can say "splish-splash". Kayaking in Anambas: Escape. Explore. Enjoy.